It’s all happening, folks. Disney’s Mary Poppins Returns won’t hit theater until Christmas 2018, but the studio is already pushing the marketing for this film hard. 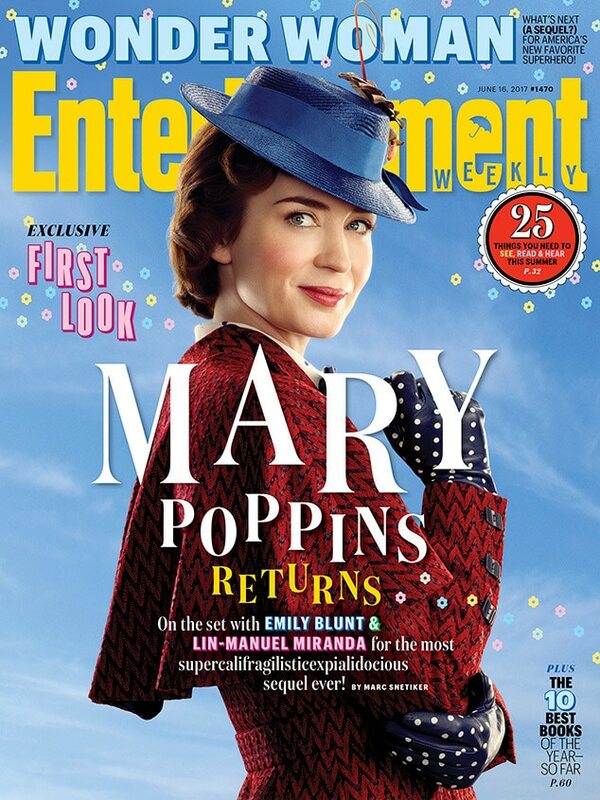 A new image of Emily Blunt as Mary Poppins was released inside Entertainment Weekly’s June 16 issue. The magazine takes readers behind the scenes of the film…18 months before it actually gets released. Should be interesting to see if they can capture the magic of the first film. We have our doubts, since we typically hate sequels/remakes, but there are a lot of talented people involved with this project. Maybe they have created something special.